Hyundai Elantra 2011 - 2012 - 2013 - 2014. Hyundai Avante 2011 - 2012 - 2013 - 2014. Elantra Langdong 2011 - 2012 - 2013 - 2014. Hyunday i35 2011 - 2012 - 2013 - 2014. - Install the glass in the car body. - Make your car is more safe by install the glass better. - Prevent water leakage to the cabin. - Prevent entry of dust. - Cover the bad look for the adhesive. - Hyundai Elantra 2011-2014 rear windshield Molding. 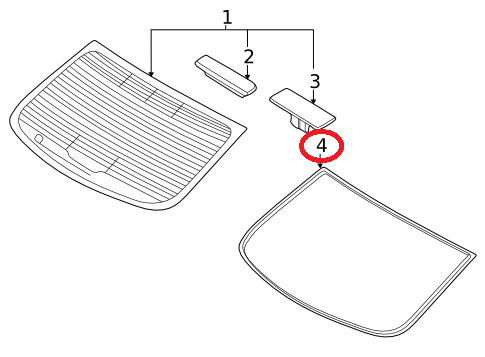 - Hyundai Avante 2011-2014 rear windscreen Moulding. 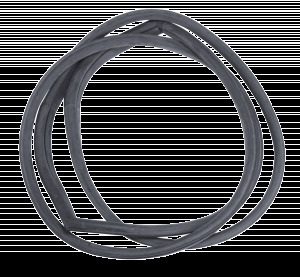 - Inokom Elantra 2011-2014 rear windshield gasket. - Elantra Langdong 2011-2014 rear windshield glass seal.